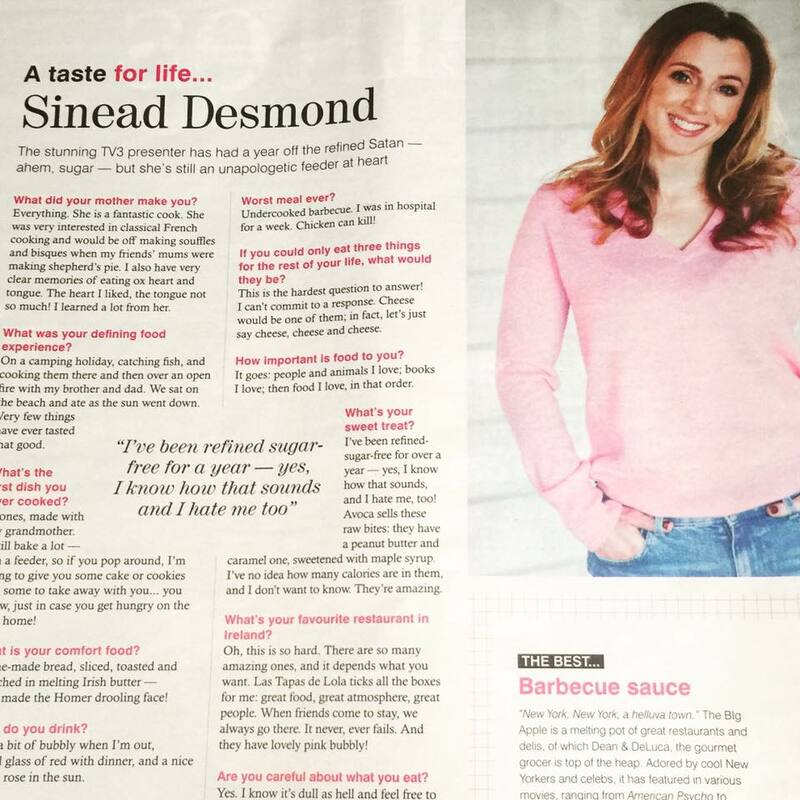 Absolutely chuffed to read, in the Sunday Independent's interview with Sinead Desmond (14 May, 17), that we're her favourite place to eat out. All the team delighted to read! "What's your favourite restaurant in Ireland? Oh this is so hard. There are so many amazing ones, and it depends what you want. Las Tapas De Lola ticks all the boxes for me: great food, great atmosphere, great people. When friends come to stay, we always go there. It never, ever fails. And they have lovely pink bubbly!"